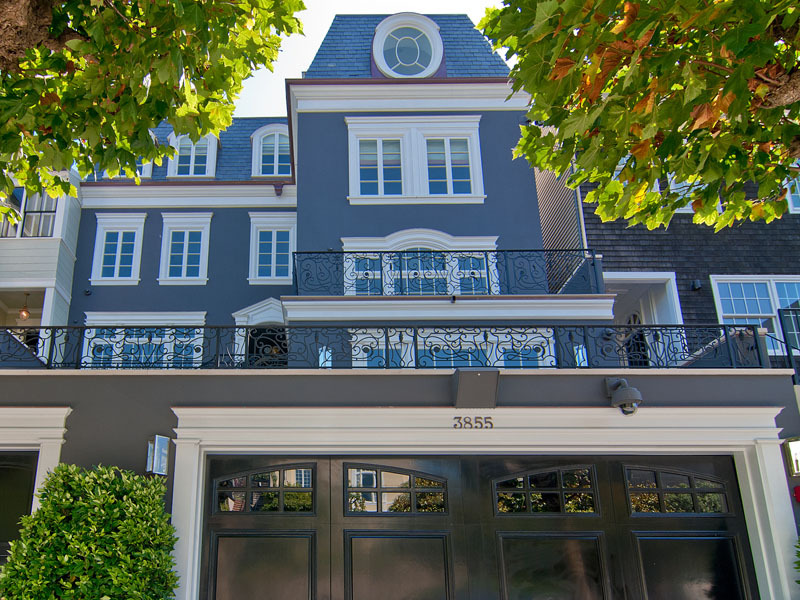 This stunning home on 3855 Washington Street in Presidio Heights in San Francisco, California offers metropolitan living in a quiet, private setting. The luxury home is built on an extra wide lot and intentionally pulled back from the street for privacy. Inside the house, the Pièce de résistance are the large glass doors that open onto the tranquil garden which is accessible from both kitchen & formal dining rooms.